Nadia is claimed to be “one of the most advanced human/machine interfaces developed in the artificial intelligence space.” She will operate in a trial environment for the next 12 months before becoming fully operational. Nadia have been developed from Soul Machines’ Baby-X, “an intelligent, emotionally responsive virtual toddler” created by Dr Mark Sagar and his team in the Auckland Bioengineering Institute and which drew worldwide attention when it was released in 2013, leading to the launch of Soul Machines. Sagar teamed up with Australian actor Cate Blanchett to create Nadia, with Blanchett providing Nadia’s voice. Sagar said the technology would empower people with disabilities to be able to participate more fully in an increasingly digital world. 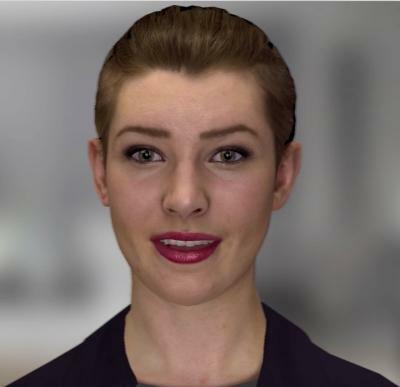 "It showcases what can happen when you combine artificial intelligence with a very human user experience.